Welcome to the website of Aquarium Glaser! We are very pleased that you are interested in us and our passion ornamental fish. 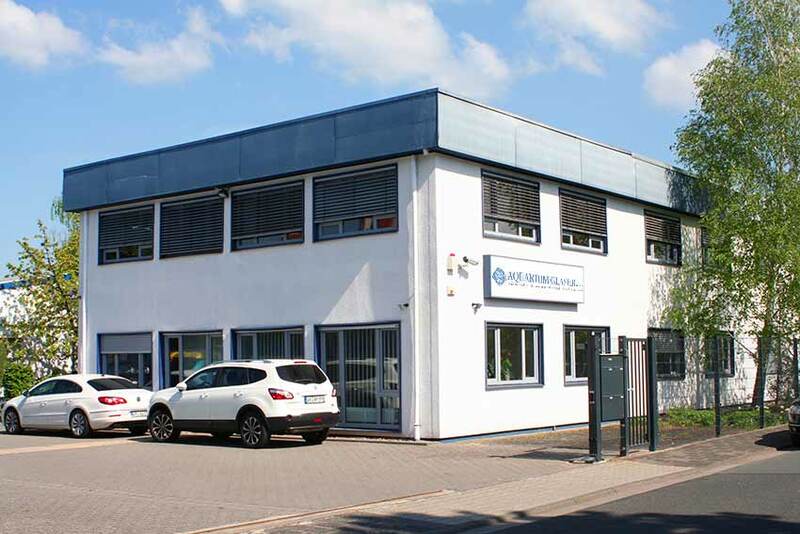 The company Aquarium Glaser GmbH was founded by Ulrich and Christa Glaser in 1984 and built up to a global leading wholesale with live ornamental fish with much idealism and even more sweat. Since 1995 the enterprise is being managed by their daughter Ursula Glaser-Dreyer, who has extended and established the outstanding position of the firm in this special section of the pet branch with the support by a team of 30 employees. The heart of the company is the aquarium facility in which we are able to keep more than 1 million fish at the same time, tended an spread in 3,000 glass aquariums and external tanks. From the colourful Guppy to the very long catfish – no fish is too small or too big for us, no species too unimportant or too difficult to keep. We have specialized ourselves in fish living in freshwater. Did you know, that 17,000 different varieties are living in the inland water on our earth of which only one third has been aquaristically discovered yet? Wherever on the world a new species is found or a new variety is raised: Aquarium Glaser does its utmost to present you the respective animals. On this occasion we certainly behave on the basis and in correspondence with the internationally binding guidelines and rules for conservation and protection of species (CITES, etc.) We are partner and supplier in demand of the most famous zoological gardens, public show aquariums and museums. Also the practised animal welfare in the aquaristic is our special concern. Under the leadership of a veterinary specialized in ornamental fish and by close collaboration with leading scientific fishing institutes, our team of experienced employees constantly tries and realises new strategies for an optimal keeping. One focal point is the varied, individual feeding and the correct water conditioning for the species during the quarantine. Only because of these continuous efforts for the welfare of the fish we are able to offer you a huge assortment of interesting and rare imported freshwater aquarium fish which meet the highest quality demands concerning the resistance and vitality. We invite you to dive in the world of the aquarium fish with us and find out interesting facts, hints and photos on our homepage.